We feel very honor to introduce our company and main products. 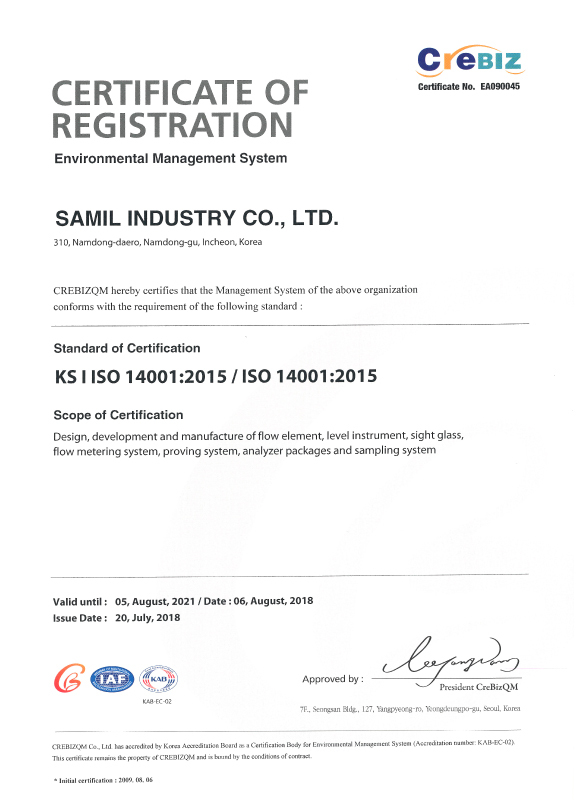 We, SAMIL INDUSTRY CO.,LTD are manufacturer of a complete line of Level gauges, Sight glasses & Flow elements to use in the general industries Since SAMIL was established in 1979, we are a leading Level gauges, Sight glasses and Flow elements manufacturer and also serving to famous company such as Power generating, Gas transmission, Petroleum refining & chemical processing companies. Especially, SAM L’s Magnetic type level gauge & Two color type level gauge for high pressure and temperature are highly regarded in petrochemical industry. Our products has been approved and qualified by major transmission companies as well as Bechtel, John Brown, SWEC, Petronas and supplied to Korean major government plants such as Korea Electric Power Corporation. 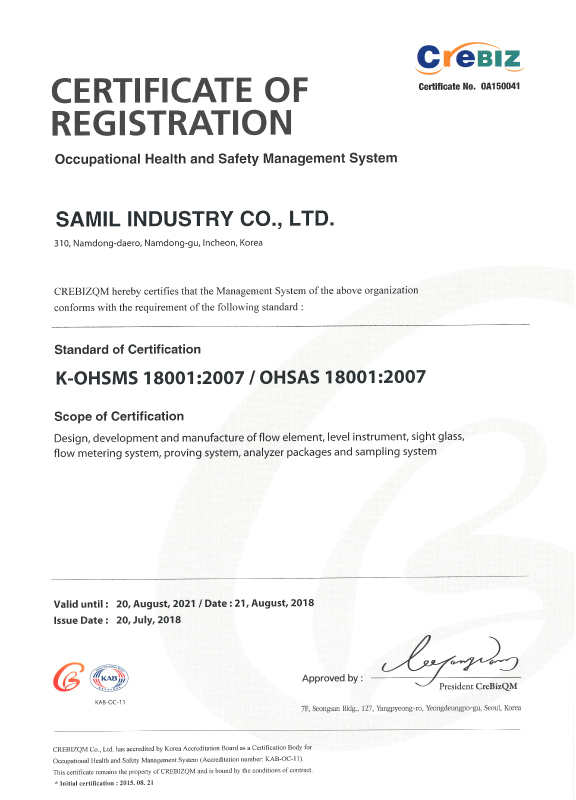 SAMIL has dedicated to develop new and proprietary products improved for accuracy and operational safety as well as the Quality under ISO 9001. Furthermore, SAMIL also can supply system packages such as metering & proving system, terminal automation system. Our motto is “to be a Specialist Group in Measurement + Analytical, Control Solution”. Not only Korean major companies such as Samsung, GS, LG, Daelim and Hyundai but also JGC, CHIYODA, TOYO, TECHNIP, SAIPEM, Kuwait Oil company, Natural Gas company in India, Gas Processing plant in Malaysia are our famous Customers. We trust that this brief company profile, in combination with the attached Certificates, Experience Records, Work shop facility, etc. will convince you that we are capable of meeting any of you industrial measurement equipment needs. One of the main goals of our company is to improve customer satisfaction. In order to revitalize this performance, all of we will make a total commitment to provide better quality goods for your needs. Acquirement of ASME STAMP "S"
2nd. 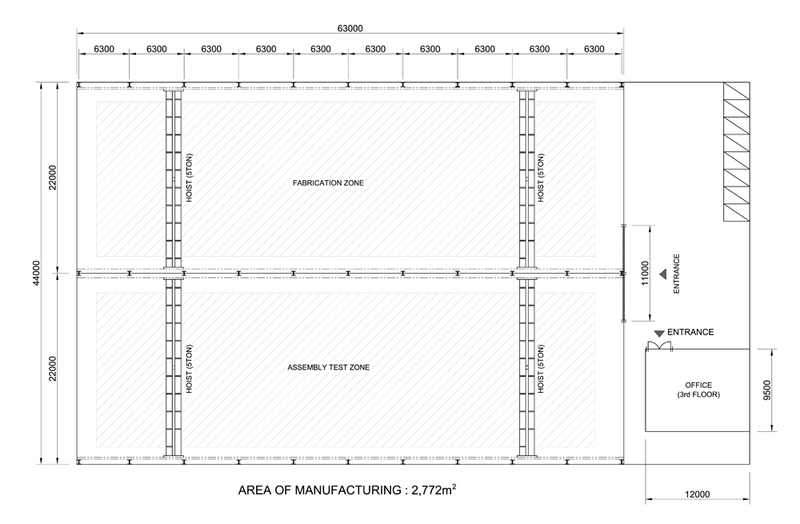 Enlargement of a Factory. Participated in ADIPEC 2010, in Abu Dhabi, U.A.E. Participated in ISA Brazil 2009. Acquirement of KEPIC Class 1 Components Certificate. Participate in ADIPEC 2008 Abu Dhabi, U.A.E. 1st. 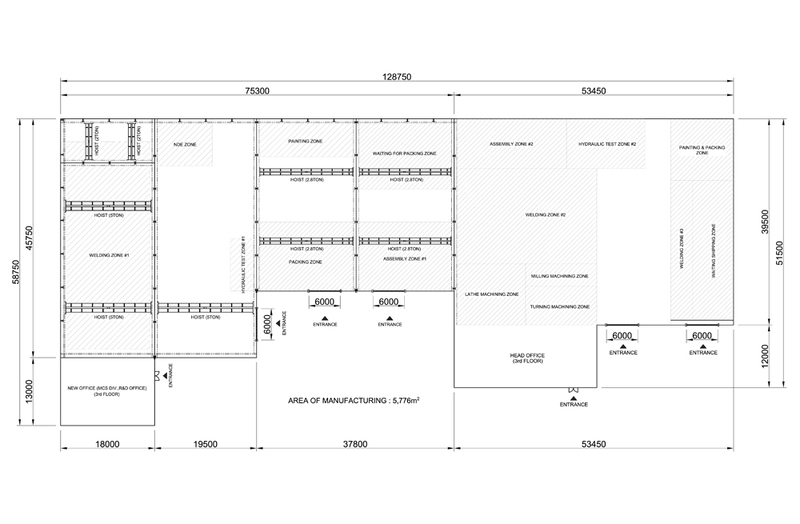 Enlargement of a Factory. Participated in HANNOVER Messe Exhibition in Germany. Acquirement of ASME STAMP "U" & "PP"
Developed and Produced the Magnetic type level with LED Indicator successively. Participated in ADIPEC 2006 Abu Dhabi, U.A.E. Began to develop the Magnetic type level gauge with LED Indicator. Participated in ISA EXPO 2005 Chicago, U.S.A. Participated in ISA Mexico Expo Control 2005. Participated in MEOS 2005 Exhibition in Bahrain. Participated in MICONEX 2004 Exhibition in China. Participated in ICA 2004 in Malaysia. Participated in "Measurement and Control Show 2003 in "Tokyo" in Japan. Developed & Produced the Electrode Type Level Gauge, Successively [ SEL SERIES : Next Generation]. A Concerted Action with INTRA-Automation GmbH - Germany. [Technical Cooperation]. Acquisition of CE Mark Certification & Successful Renewal of ISO 9001. Participation of INTERKAMA Exhibition in Germany. Collaborated & Established Chemtrols Samil (I) Pvt. Ltd. in India. Participation of CIA 99 Exhibition in Germany. 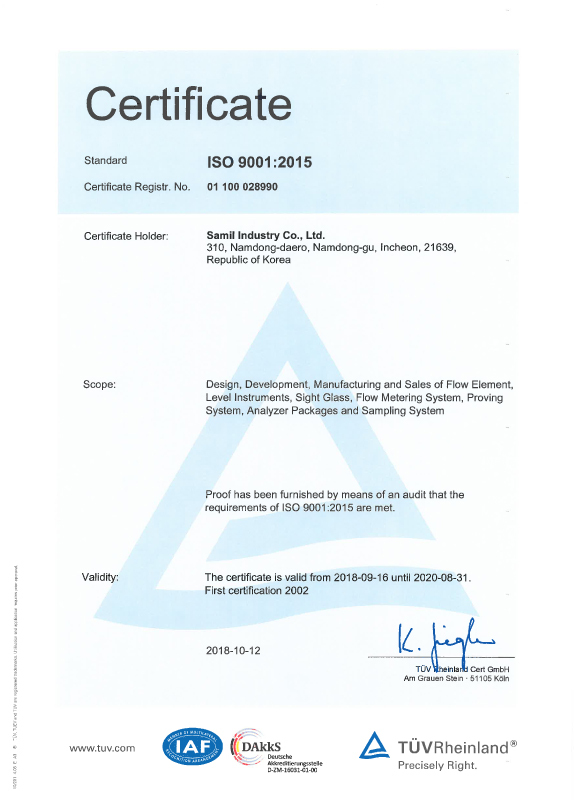 Acquirement of ISO 9001. 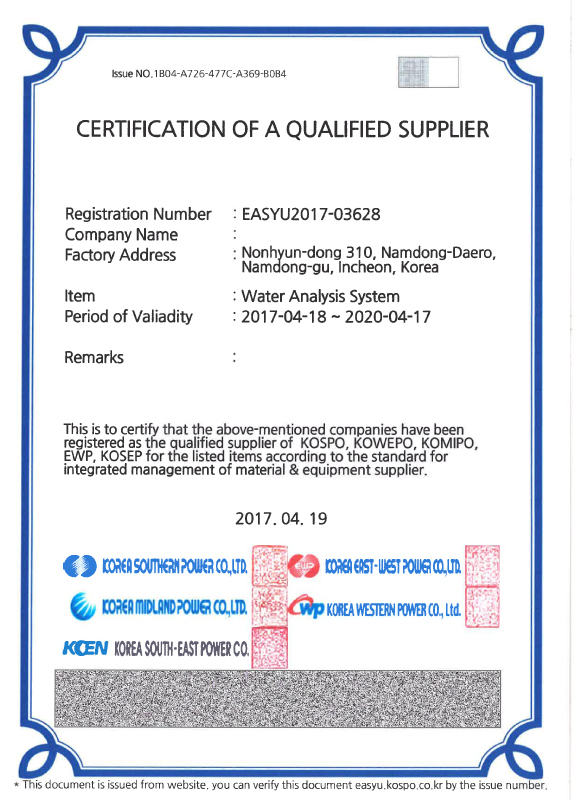 Registered as a qualified supplier at Korea Electric Corporation. Designated as a promising manufacturer by the government agency, Korea Machinery, Meter and Petrochemical Test and Research Institute. 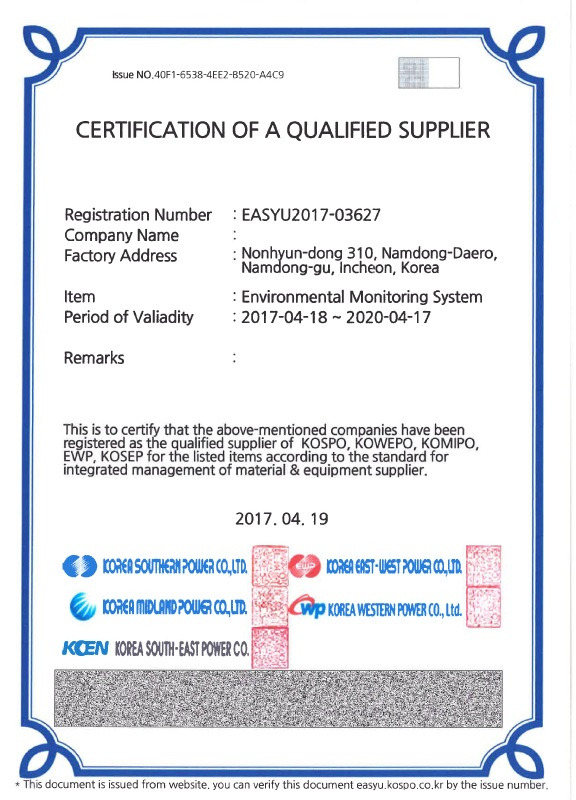 1] Pass of the Quality Test for Level Gauge by the government agency, Korea Machinery, Meter and Petrochemical Test and Research Institute. 2] Awarded a prize of Korea Science & Technology Minister. 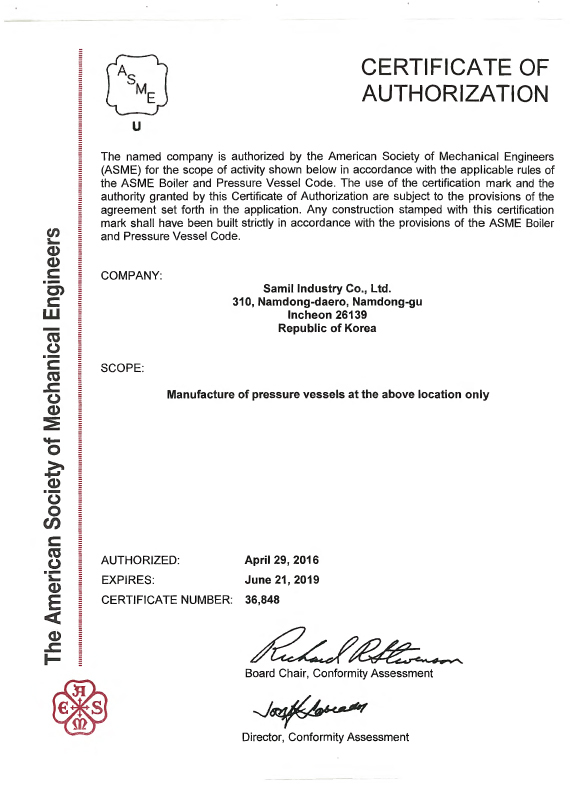 Acquirement of the Certificate of Electrical Apparatus for Explosive Atmospheres for Level Switches & Transmitters from Korea Industrial Safety Corporation. Movement into new factory premise, INCHEON, KOREA. Registered as Member of Association of Foreign Trading Agents of Korea. Re-established & Reorganized the company structure, changing corporate name to SAMIL INDUSTRY CO., LTD.
Began exports of manufactures to abroad. Installed the high pressure test equipment in the factory. First Production of Bi-Color Type Level Gauge. Fist Production of Sight Glasses. Foundation of SAMIL INDUSTRY CO., LTD. ( First Production of Level Gauge for High Press Boiler. SAMIL has unparalleled experience in designing and constructing diverse liquid and gas systems that meet the needs of its customers. Our engineers and project management staff are experts, many with decades of experience in the measurement industry, and offer complete support at every phase of the project’s development. Whether a project necessitates language translations, compliance with non-standard regional practices or project commissioning in remote locations, FMC’s project teams have the know-how to solve any measurement system challenge. Al Waleed Technical Instrument LLC. Al Raid Oil & Gas Technical Service LLC. Rye Pala Engineering Co., Ltd.
T.C Sealing & Pumping Co., Ltd.
Multiplex Control & Engineering Service Pte Ltd.
Ulsan Royal Sys-tech Co., Ltd.
Changwon Seojin engineering Co., Ltd.
Yeosu Honam Instrument Co., Ltd.
Seoul SI Instruments Co., Ltd. Copyright ⓒ SAMIL INDUSTRY CO., LTD. All rights reserved. Hosting by AD COMMUNICATION.